MS Design Maven highlights Clarksdale again! O•P•I nailpolish ad featured on MS Design Maven blog featuring local Clarksdale musicians Big T, Razorblade and Howlin Madd Perry on the porch of Ground Zero Blues Club. Mississippi Delta born and raised Marilyn Trainer Storey, the MS Design Maven, has done it again. She can’t get her visit to Clarksdale out of her mind. Check out Marilyn’s most recent post“I’ve Got the Delta Blues, Part II, Green to Blue.” (Follow the link.) In the post, Marilyn highlights Hopson, the Shack Up Inn, Miss Del’s General Store, Red’s Blues Club, Rust Restaurant, Ground Zero Blues Club, Oxbow Restaurant, Delta Debris, Delta Creations and even mentions the soon to open Yazoo Pass Espresso Bistro. Marilyn is an interior designer with an eye on elegant and earthy. The Delta Bohemian enjoys Marilyn’s blog which features collections of photographs and stories that capture her sense of design usually sparked by a color or idea. 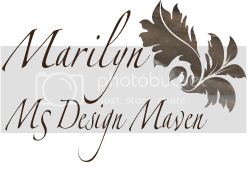 Also, be sure to visit Marilyn’s website, Per Design Studio. By the way, the MS Design Maven is derived from the following. MS: Marilyn Storey and/or Mississippi. Maven: one who seeks to pass knowledge to another. We know one thing; we like your style, Ms. MS Design Maven.